Who says you can’t have everything? With Umbermaster Kitchens you have the flexibility to choose functional storage that look great and stand up to your lifestyle. 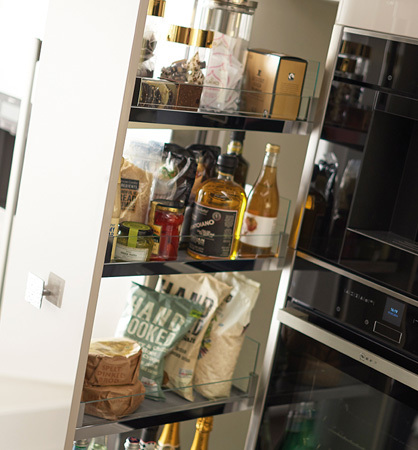 From ingenious corner solutions and hidden pantries, to space efficient drawer systems and pull-out larders, our innovative storage solutions will ensure that your kitchen is as practical as it is beautiful. 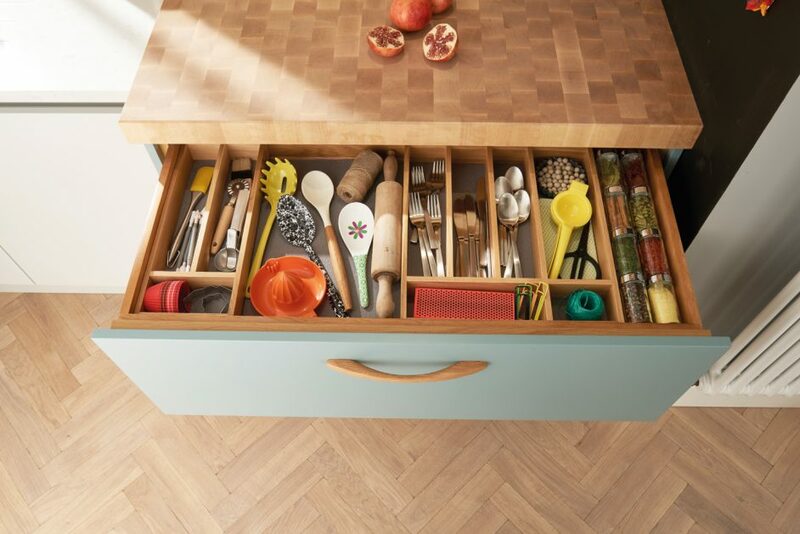 Save space, stay organised and keep your contemporary kitchen clutter-free. 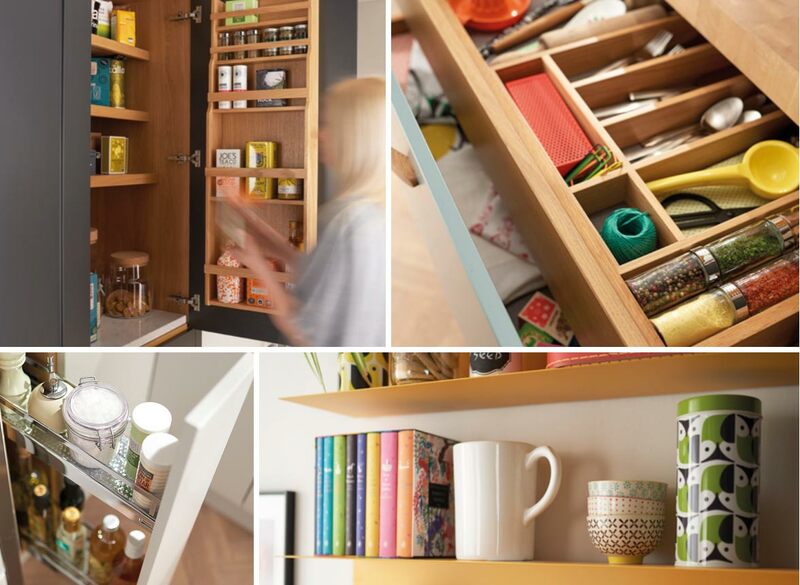 Keep your drawers in order with an insert that ensures everything is to hand. 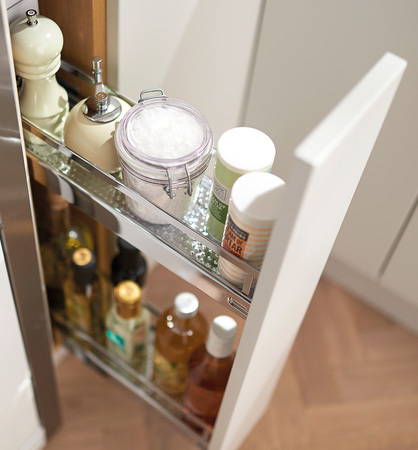 Glides out of the cabinet effortlessly and the generous storage capacity makes organising and finding your food items a pleasure. 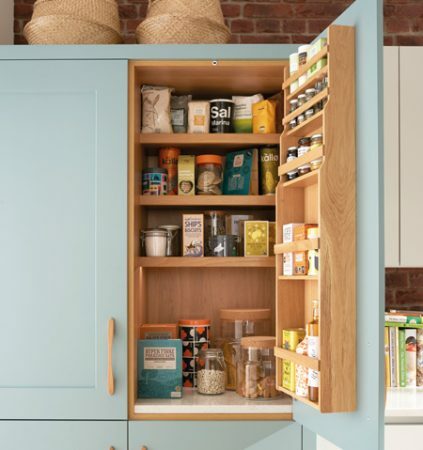 Bespoke pantry, personalised around your lifestyle. 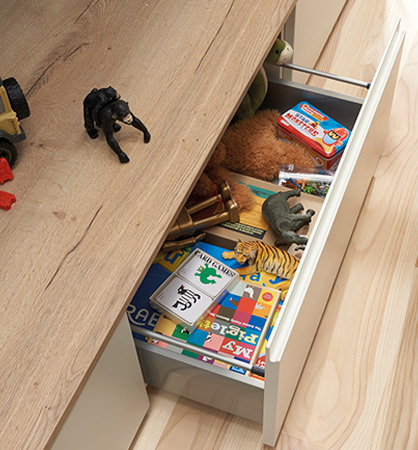 Deep drawers aren't just for stashing pots and pans away, they are perfect for storing children's toys and books too. "We approached Umbermaster as we had seen a kitchen we liked in Lenleys Canterbury. We visited both Lenleys and Broadstairs showrooms, both were good although Broadstairs has more on display as it's bigger - so is well worth a visit. There was everything we would want to see for our kitchen planning. Having visited countless showrooms and kitchen planners and experienced varying levels of service, we found in Umbermaster a good professional kitchen company that could fulfil all our requirements.